Yaakov flees his father’s home in order to escape the anger of his brother, Esav. He is traveling to Charan. He seeks refuge in the home of his uncle, Lavan. Evening comes before Yaakov has left the land of Canaan. Yaakov makes a camp and falls asleep. He has a vision. In this vision, the Almighty addresses him. Our pesukim contain a portion of this prophecy. Hashem promises Yaakov that he and his descendants will possess the land that he sleeps upon. His descendants shall multiply. They will become as numerous as the dust of the earth. They will expand in all directions. There seems to be a contradiction in these promises. First, Hashem promises Yaakov that he and his descendants will possess the land that Yaakov now sleeps upon. This seems to refer to a specific area. Sforno explains that it refers to the land of Canaan. Rashi quotes the Talmud and offers a similar explanation. However, Hashem then tells Yaakov that his descendants will occupy and take possession of the land to the east, west, north and south. This seems to indicate that the territory of Yaakov’s descendants will extend beyond the land of Canaan. The commentaries offer various solutions to this problem. Sforno suggests the simplest approach. He explains that the two promises refer to different periods. The first promise refers to the near future. 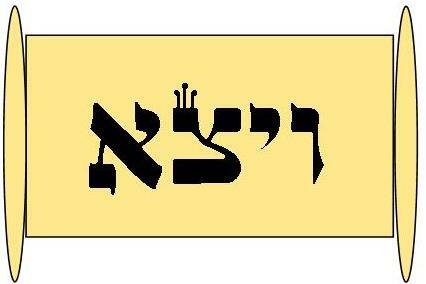 Yaakov will become a prince in the land of Canaan. His children would enjoy similar respect. Bnai Yisrael will be exiled to Egypt. But, eventually, Yehoshua will lead the nation in the conquest of the land. The second promise will not be fulfilled immediately. There is an intervening step. Hashem tells Yaakov that before the fulfillment of this promise, his descendants will become similar to the dust of the earth. Above, we explained this comparison to the dust in accordance with Unkelus’ explanation. Unkelus understands this to mean that the population will be as numerous as the dust. Sforno offers a different explanation. The nation will experience exile. In exile, Yaakov’s descendants will suffer terribly. They will become as low as the dirt. However, this exile will end with redemption. The Messiah will restore Yaakov’s children to their land. At this point in time, the second promise will be fulfilled. Bnai Yisrael will spread beyond the borders of the land of Canaan. The nation will extend its boundaries in every direction. Rav Yitzchak Zev Soloveitchik offers a different explanation. He explains that there are two ways an area can become part of the land of Israel. The first means is through Hashem’s specific assignment. This applies to the land of Canaan. Hashem gave this land to Bnai Yisrael as a homeland. The second method is through conquest. Land that is conquered by Bnai Yisrael becomes part of the land of Israel. In other words, even an area that is not part of the original boundaries, as defined in the Torah, can become part of the land of Israel. This is accomplished through conquest of the land. Based on this analysis, Rav Soloveitchik resolves the contradiction between the two promises. First, Hashem promises Yaakov and his descendants the land of Canaan. This is a specific area with defined borders. If the Almighty had stopped with this promise, other lands conquered by Bnai Yisrael would not be included in the nation’s homeland. Therefore, Hashem adds that the nation will grow and expand the borders of the land. These extended borders will become the boundaries of the land of Israel. Conquest also defines the land as part of the land of Israel.